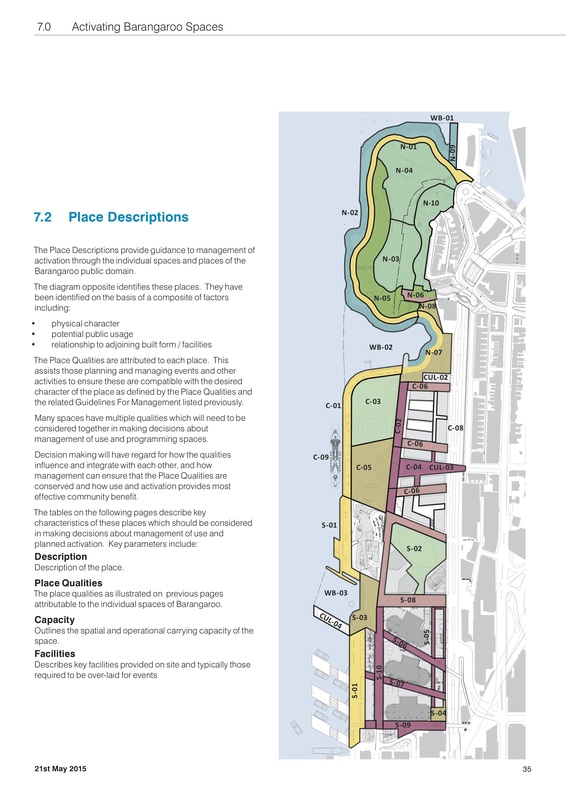 a plan of management for the public domain. 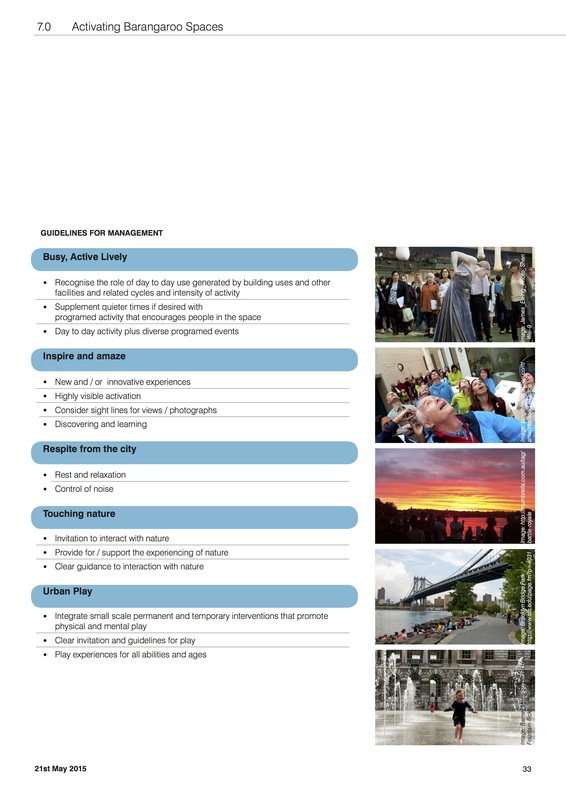 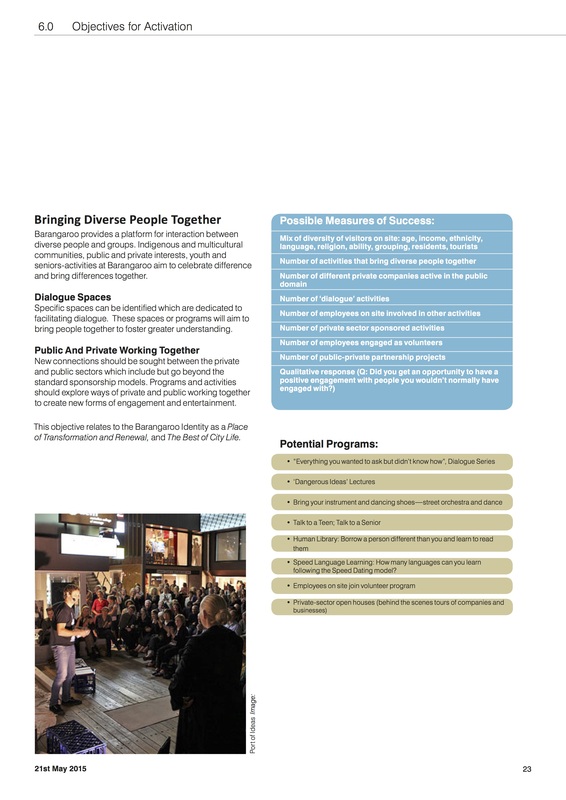 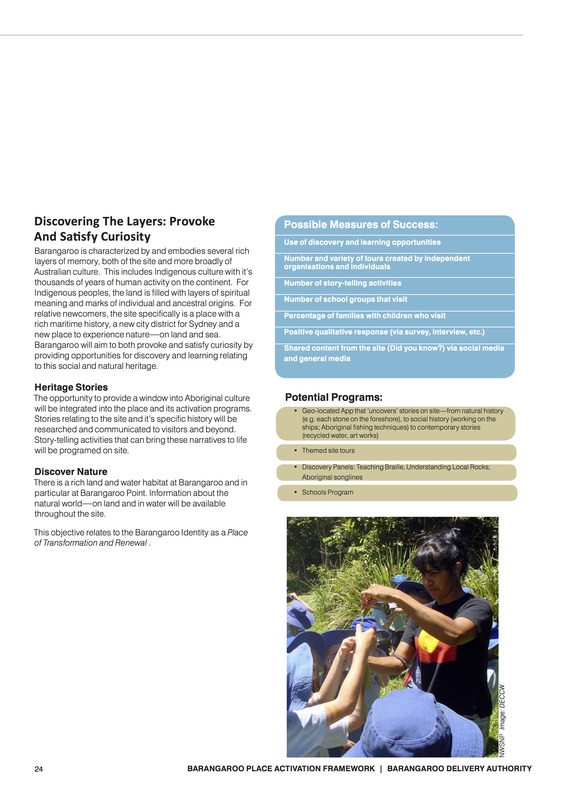 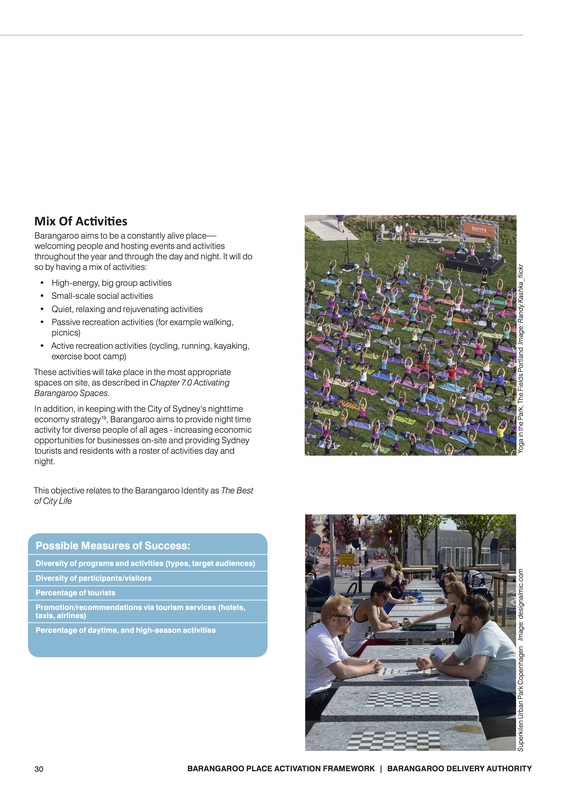 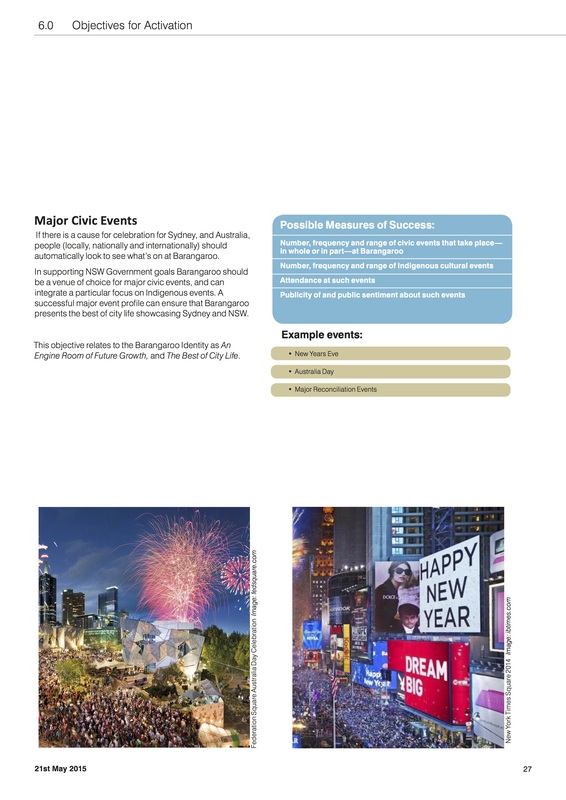 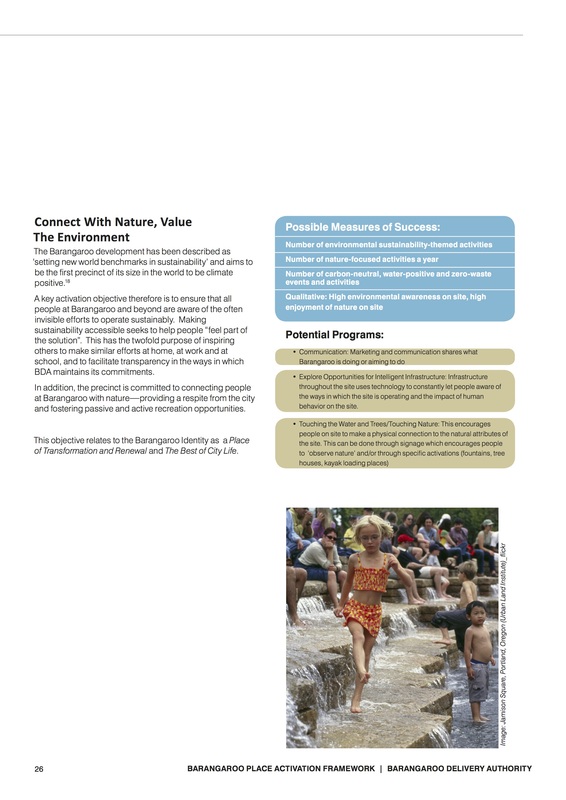 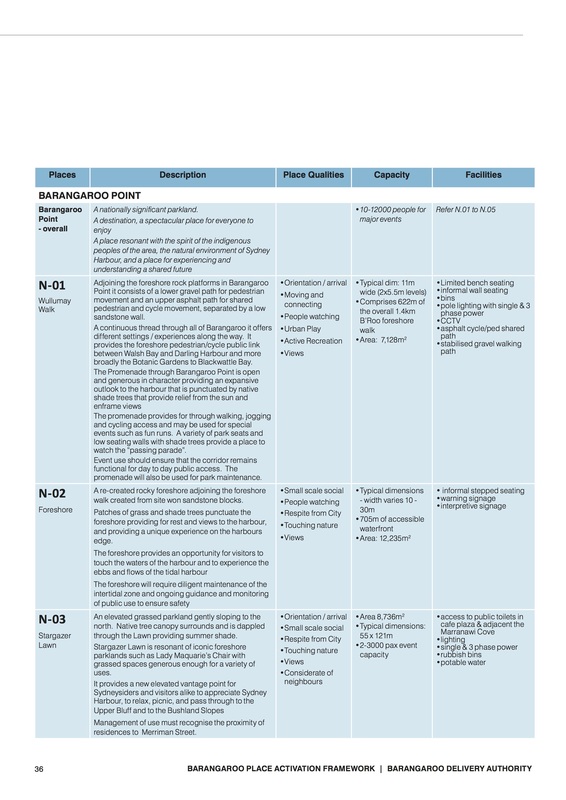 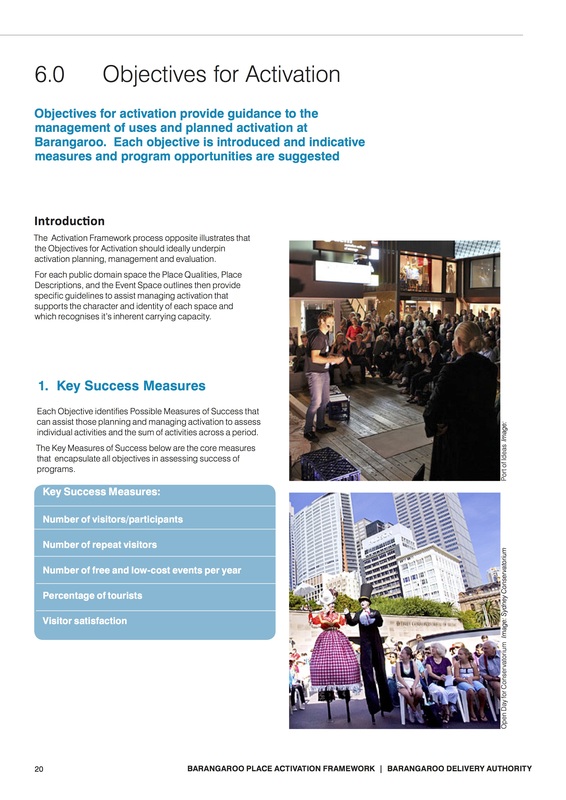 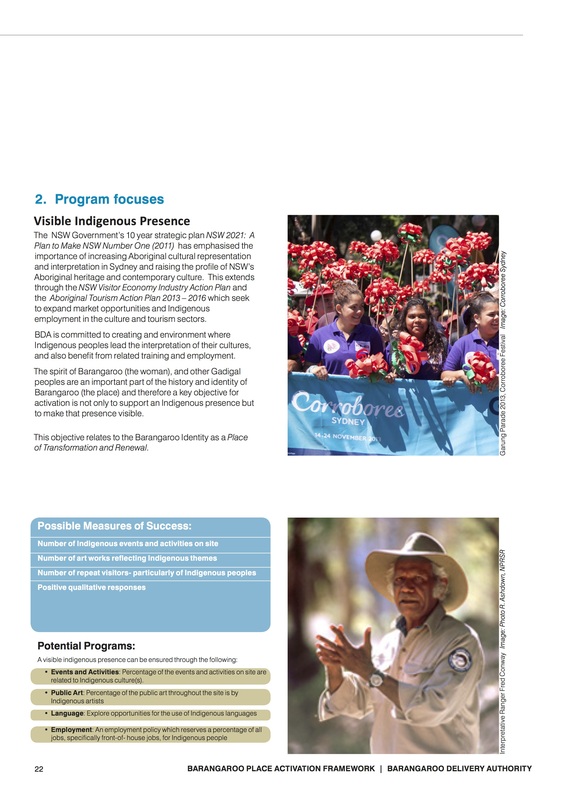 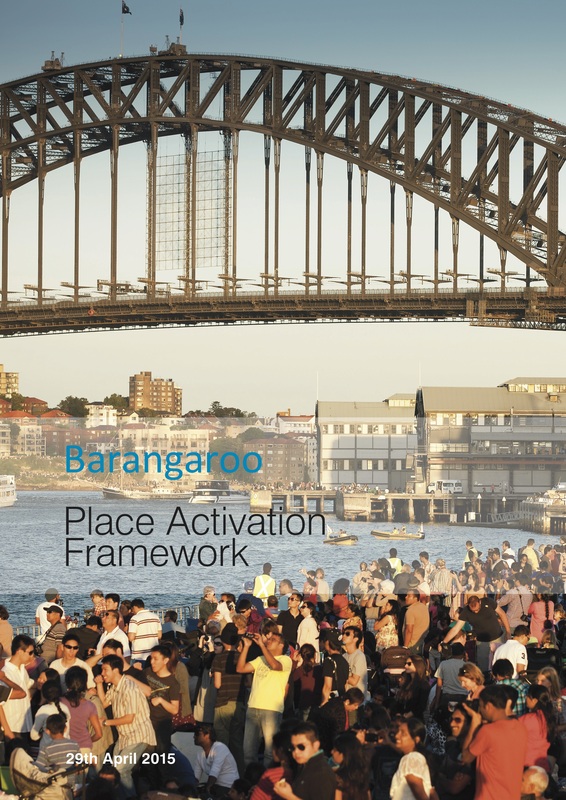 The Activation Framework provides guidelines to assist the planning and management of activation across the public domain areas of Barangaroo. 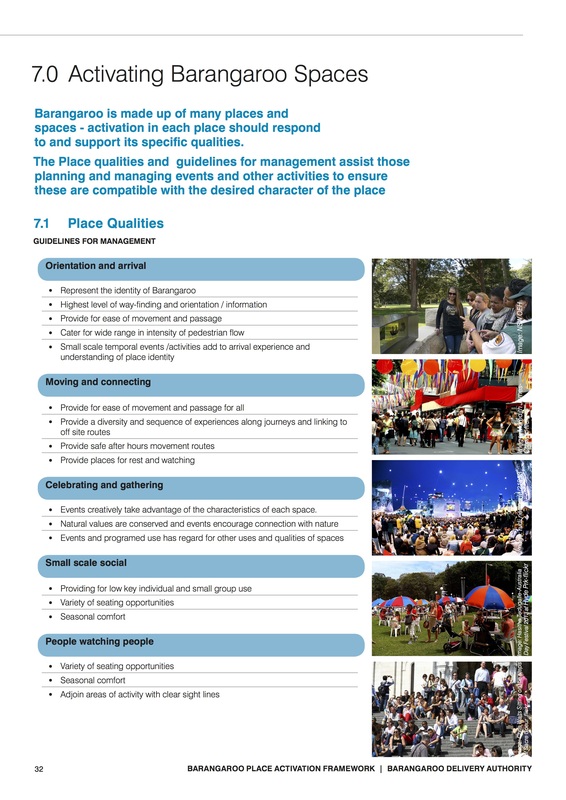 The framework emphasises the need for activation to be considered in the context of the identity of the place including physically socially and culturally.